Where can I find out information regarding The Scottish Sun Free Ticket Promotion? I have a corporate quote code, can I get discounted tickets for The Edinburgh Dungeon? Do you accept Blue Peter Badges for entry into The Edinburgh Dungeon? Can I use my Tesco Clubcard for entry into The Edinburgh Dungeon? Can I use my Nectar Points for entry into The Edinburgh Dungeon? 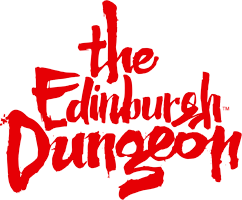 You can exchange your Tesco Clubcard for entry tokens into The Edinburgh Dungeon. You will need to do this online through the Tesco Clubcard website here. We only accept the Tesco Clubcard Entry tokens for entry into The Edinburgh Dungeon. We do not accept the monetary Days Out vouchers from Tesco Clubcard.